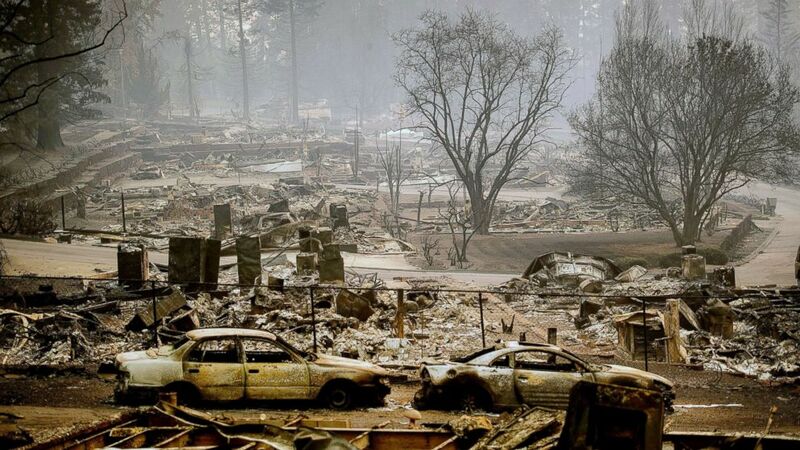 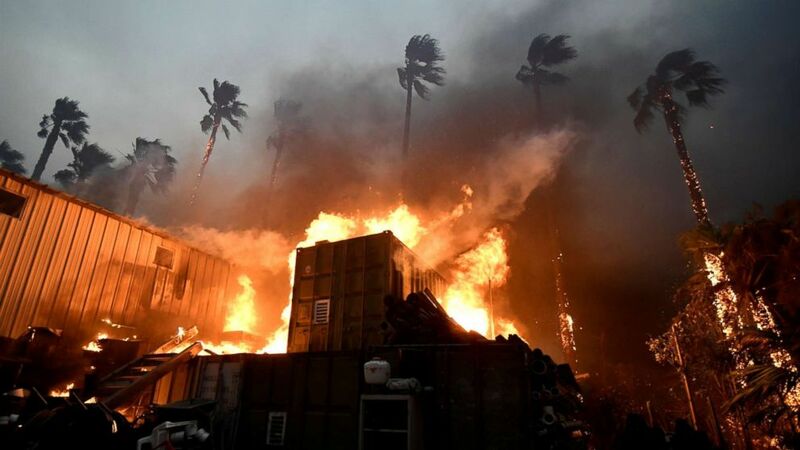 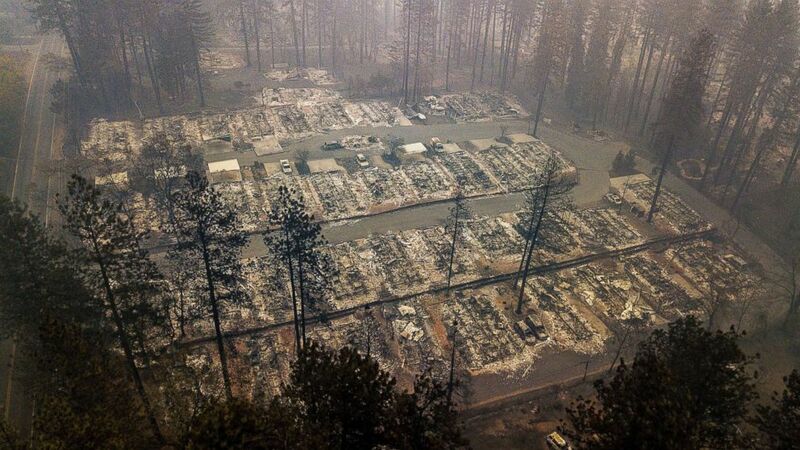 The Camp Fire is the deadliest, and most destructive in California's history. 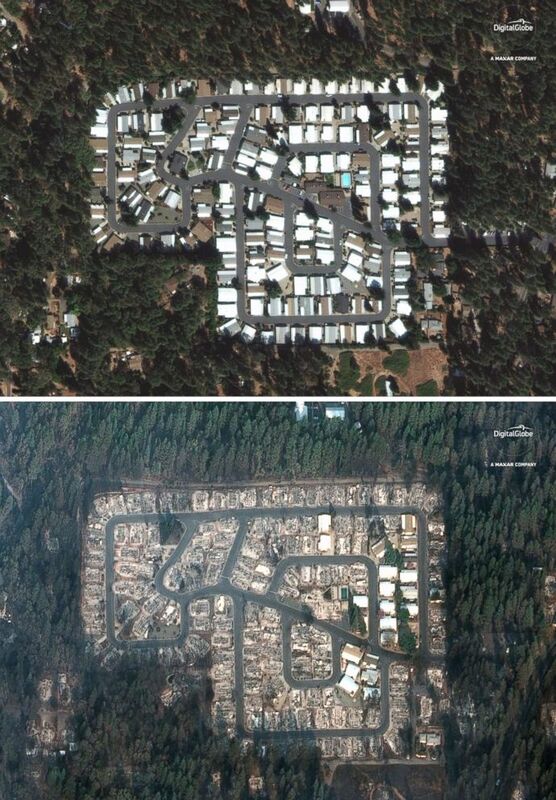 (Satellite image/DigitalGlobe via Reuters) A Sept. 10, 2018, image of the Kilcrease circle community in Paradise, Calif., compared to a Nov. 17, 2018 image this area was destroyed by the deadly Camp Fire. 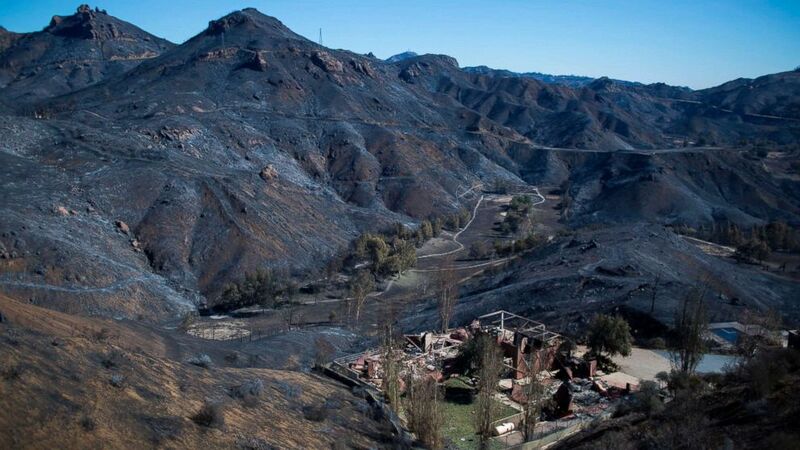 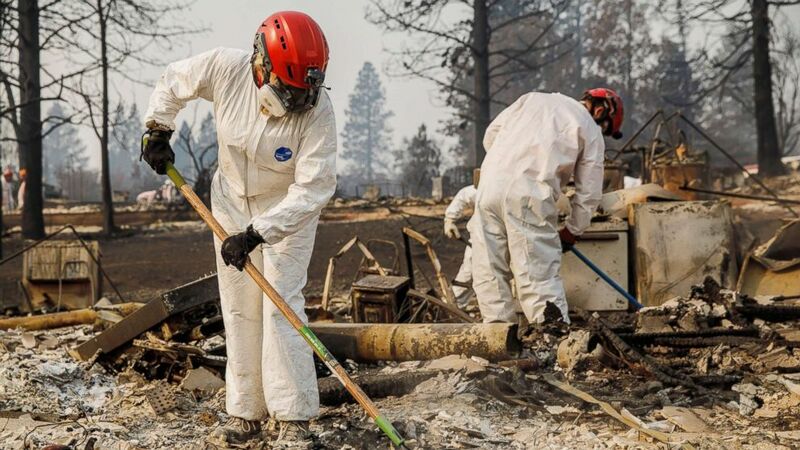 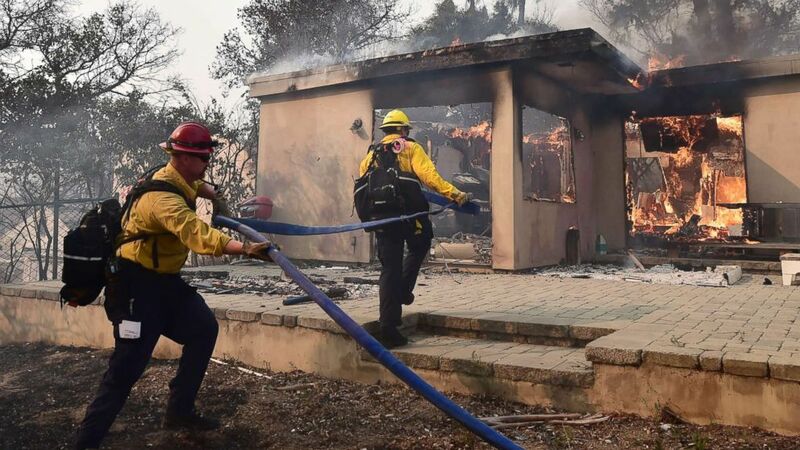 (Marcus Yam/Los Angeles Times/Polaris) A search and rescue team combs through the debris for possible human remains at Paradise Gardens, Nov. 16, 2018 in Paradise, Calif.
(David Mcnew/AFP/Getty Images) The Santa Monica Mountains are seen left blackened by the Woolsey Fire near Malibu, Calif., Nov. 14, 2018. 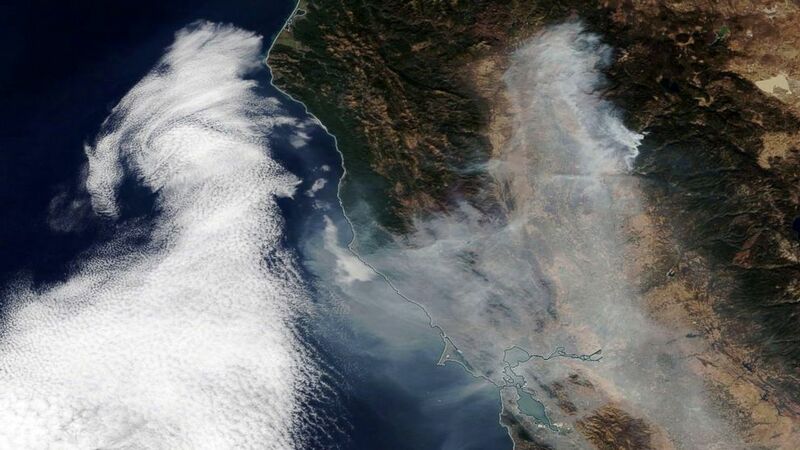 (NASA Worldview/EPA via Shutterstock) Smoke from the Camp Fire spreading over Northern California towards the Pacific Ocean, Nov. 16, 2018. 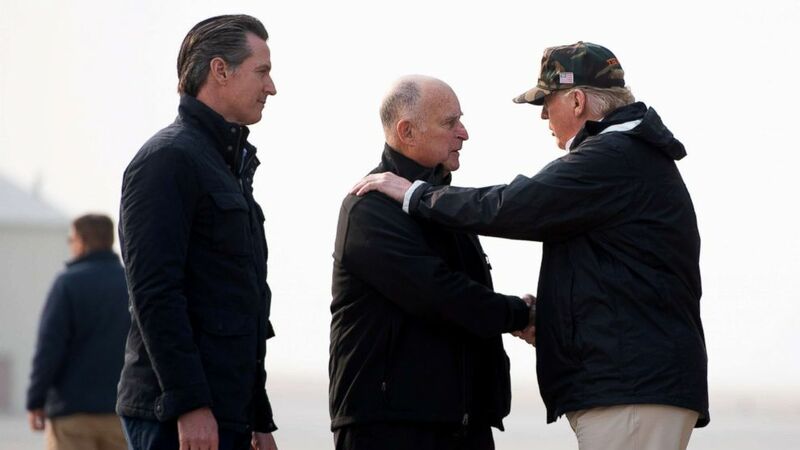 (Soel Loeb/AFP/Getty Images) President Donald Trump greets California Governor Jerry Brown and Governor-elect Gavin Newsom, left, as he arrives at Beale Air Force Base in California, Nov. 17, 2018.